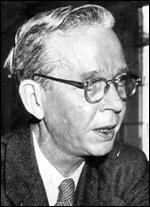 On 5th September, 1939, Earl Browder described Hicks as "one of our most distinguished Communist educators". (11) The following month Granville Hicks resigned from the Communist Party of the United States. In a letter to The New Republic, he explained that he was a strong opponent of Nazi Germany and strongly disagreed with the signing of the Nazi-Soviet Pact. During the Second World War Hicks became a fierce critic of the Soviet Union. In his essay, Communism and the American Intellectuals, he argued that in the 1930s there seemed many good reasons for supporting Communism: the depression, the Communists' programme of action, the united front against fascism, the high quality of party members. "We were a good lot, but rather stupid." (12) Hicks's book, Small Town, a portrait of life in the rural crossroads of Grafton, was published in 1946. Hicks taught in a variety of institutions including the New School for Social Research (1955-1958), New York University (1959), Syracuse University (1960), and Ohio University (1967–68). 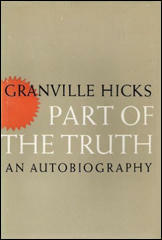 Books by Hicks include Where We Came Out (1954), Part of the Truth (1965), Literary Horizons: A Quarter Century of American Fiction (1970) and Granville Hicks in the New Masses (1974). Granville Hicks died in New Jersey on 18th June, 1982. Granville Hicks, literary critic, novelist, columnist and a leading writer in the proletarian literature movement of the 1930's, died yesterday at the Franklin Convalescent Center in Franklin Park, N.J., after a long illness. He was 80 years old and had lived in Kendall Park, N.J., before entering the convalescent home. Mr. Hicks, a bespectacled mild-mannered man, was often the focus of political and literary controversy on an intellectual journey that took him from an early rapture with Marxism to far more moderate political ground later in life. In 1953, he appeared before the House Un-American Activities Committee as a ''cooperative'' witness. 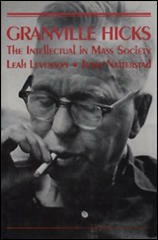 In a career that spanned nearly half a century, he joined and quit the Communist Party, was dismissed from a college teaching post in a storm over academic freedom, taught at half a dozen universities and wrote scores of articles and more than a dozen books, including novels, criticism and biography, along with a 1965 autobiography. The work that established Mr. Hicks as an important critic was ''The Great Tradition: An Interpretation of American Literature Since the Civil War,'' which was written from a Marxist point of view and published by Macmillan in 1933. The treatment of him by communist writers explains Max Eastman's reaction to Granville Hicks's book on John Reed. It was the first biography of Reed and the most important, for Hicks gathered the documents on which subsequent works have depended. He and an assistant interviewd hundreds of people who had known Reed. Hicks was the nicest and most ethical of Communist writers. Max refused to cooperate with him anyway, telling Hicks that as a member of the "Stalin International" Hicks could not be objective. Eastman was mistaken. John Reed: The Making of a Revolutionary was a remarkably honest book. Hicks praised the Masses for having "the seriousness of strong convictions and the gayety of great hopes." He presented, from Max's point of view, a fair account of the great artist revolt of 1916, saying that Reed gave Eastman his proxy vote because he knew that Eastman more than other editors cared about economic issues. Hicks even went against the party line in assigning Max some credit for the second Masses trial. "Eastman, in his eloquent summation of the defense, was far more outspoken than he had been in the spring, and made fewer concessions to the hysteria of the moment." Hicks did not make Eastman out to be the central figure of both trials, which he was. Otherwise the book is hard to fault. Max took issue with it just the same. Quibbles aside, the sticking point was Reed's frame of mind when he died. Hicks presented the official story, which was that, though Reed had quarreled with Zinoviev and resigned from the Comintern, he later rejoined it and died a loyal Communist. As it was not disputed by Louise Bryant, everyone accepted this version at the time. Years afterward Louise told Max that Reed had been shocked by the self-indulgence of Soviet bureaucrats and by Zinoviev's callous management of the Comintern." Angelica Balabanoff, an oppositionist who had been Secretary of the Comintern and knew Reed well, supported Bryant. She believed Reed's disillusionment with Soviet rule hastened his death. Hicks replied that he did not accept Louise Bryant's revised version because she had told different stories to different people. While recognizing that lack of evidence made for uncertainty, Hicks stood by his account. The leaders of the Communist Party have tried to appear omniscient, and they have succeeded in being ridiculous. They have clutched at straws, juggled sophistries, shut their eyes to facts... They have shown that they are strong in faith - which the future may or may not justify - and weak in intelligence.